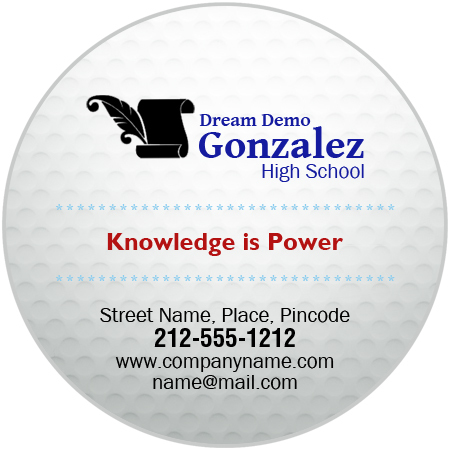 A custom 3 inch golf ball shaped high school full color magnet is a suitable promotional choice for high schools and other study institutions because it offers high value for investment. A personalized 3 inch golf shaped high school full color magnet can be handed over as a promotional token, thanking gift, encouragement token or as a fundraising token. This 3 inch golf ball shaped high school full color magnet offer large space for expression and can prominently feature from over refrigerator door or other surfaces. Students and parents, who receive it as a gift will retain it as a symbol of pride or as a reminder of their great schooling years.